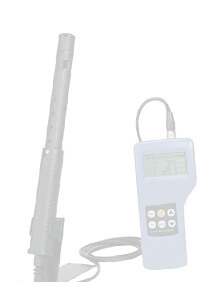 Bacharach's Multi-Zone Gas Leak Monitors offer superior performance, flexibility and functionality for low level continuous monitoring of refrigerant gases used in most commercial systems including: Chlorofluorocarbons (CFC), Hydrochlorofluorocarbons (HCFC), Hydrofluorocarbons (HFC), Ammonia (NH3) and Carbon Dioxide (CO2). These state-of-the-art fixed gas monitors lead the industry in performance, integration capabilities, initial cost and cost of ownership. Capable of detecting more than 38 refrigerant gases, the Multi-Zone system is compliant with ASHRAE standard 15-2007, is ETL Energy Saving Listed, meets California Code Regulations for Refrigerant Monitors and is EN 14624 and CE certified. 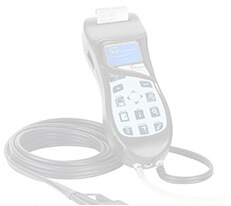 Bacharach Multi-Zone Monitors provide continuous detection of refrigerant gas levels in up to 16 separate test zones and can be fitted with an optional two channel 4-20 mA current loop board for connection to remote monitoring equipment. Multi-Zone monitors retain a log of previous readings that can be easily accessed for analysis. Four relay contacts are provided that can be programmed to trigger external alarm devices in the event of a system fault, or if a leak (small), spill (medium) or evacuation (large) level of gas is detected, while audible and visual front panel indicators show alarm and fault conditions. With only minor periodic maintenance, such as the occasional replacement of filters, and active diagnostics that continuously check the system for proper operation, Multi-Zone monitors help maintain your equipment efficiency, promote safety and protect the environment. Bacharach's all new GDC-350 full-featured fixed gas monitors provide superior operation - standalone or as part of a larger system utilizing the standard analog outputs. 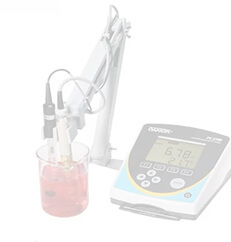 This state-of-the-art instrument can detect a wide range of gases including carbon monoxide (CO), oxygen (O2), combustible gases, refrigerants and total volatile organic compounds (TVOCs). 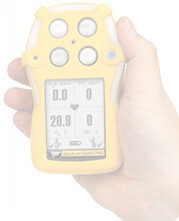 The GDC-350 provides a unique two sensor interface, allowing for multiple gases to be detected with onboard or remote sensors. Sensors can be located integral to the unit or remotely allowing for sensors to be placed directly in areas where potential leaks can occur. Bacharach s proprietary calibration algorithms extend the amount of time required between calibrations, reducing maintenance costs and lowering the overall cost of ownership for non-critical applications. 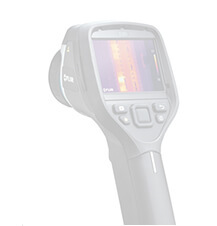 The GDC-350 has all the features and functionality for any application. LED alarm indicators visually indicate when alarm conditions are met and an audible alarm alerts nearby personnel. 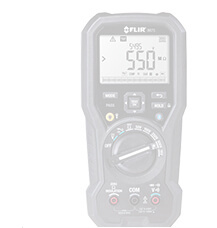 An onboard alpha numeric display shows gas readings in real time for each sensor. Integral dry contact relays are available to drive external audible / visual alarms, activate fans, or connect to building management and control systems. Installation and maintenance is simple and easy, reducing overall system cost. A pre-wired plug-in option is available for out-of-the-box operation. Simply plug the unit into any standard AC outlet for immediate detection and protection. The all new GDC-150 transmitter from Bacharach offers detection and protection for a wide range of hazards including toxic gases such as carbon monoxide (CO), oxygen depletion, combustible gases, refrigerant leaks and total volatile organic compounds (TVOCs). Analog interfaces allow the transmitter to be connected back to Bacharach's GDA Series of controllers (or any other gas detection controller), building management systems or control systems. The GDC-150 features 4-20 mA or 0-10 VDC linear output signals, an automatic thermal resetting fuse, RoHS compliant circuit boards and LED indicators for power and open loop. The onboard alarm LED's indicate when alarm threshold values are exceeded. The unit can be ordered with an optional alpha numeric LED display that shows gas concentrations in real time while alarm relays alert personnel of potential dangers, avoiding incidents and potential hazards. The GDC-150 is packaged in a rugged, polycarbonate housing for both indoor and outdoor applications. When leaks occur, the GDC-150 sensors respond quickly and accurately to protect people and property. Automated calibration and simple maintenance procedures performed in the field allow for continuous operation and assurance that areas are monitored and protected at all times. Bacharach's MGS-350 Series Gas Transmitter is a feature-rich gas detection system with a wide range of sensor options to provide real-time monitoring of refrigerant, combustible, TVOC and toxic gases. It comes standard with analog and digital outputs including 4-20 mA, 0-5V, 0-10V and Serial Data, allowing them to connect directly to most BMS, SCADA or control systems. An onboard visual LED alarm indicator alerts area personnel when levels have exceeded the desired limit. The MGS-350 also features alarm relays (high and low) for connection to external audible/visual alarms or a BMS or BAS system. MGS-350 Gas Transmitters, combined with the MGS Controller, can provide facility owners with a customized and complete low-cost gas-detection system. A variety of housing options are available (shown below), from standard to water resistant enclosures, which allow the MGS-350 units to be placed in many environments. Long-lasting infrared, semiconductor, catalytic bead and electrochemical sensor options for effective leak detection - at the most affordable cost. Multiple housing options available, including IP 66 and duct mount, for placement in diverse environments.